The Modified Veneto Hilt Dagger has a finger loop to give you a secure grip, especially when pulling it from its sheath. 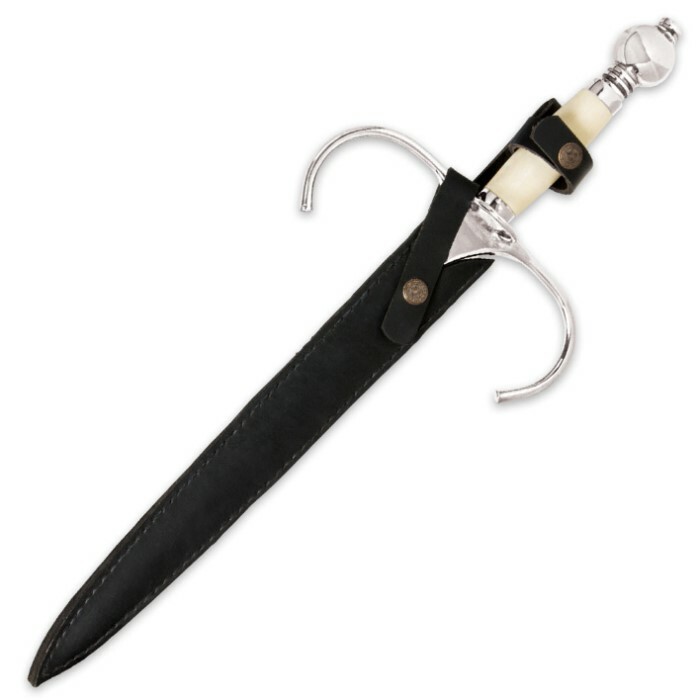 This is a dagger that fits comfortably in your hand and looks great there, too. With a 13" blade that is hand-polished, high carbon steel, it is spectacular piece to display. 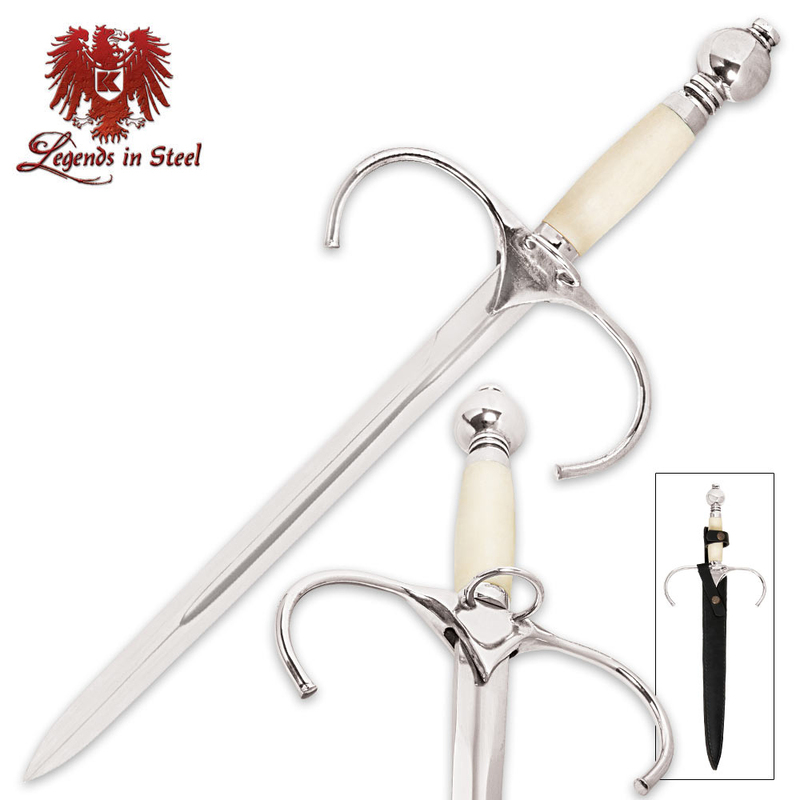 The modified Veneto hilt is hand-polished and chrome-plated and it has a thick bone handle. A genuine leather sheath housed the blade.